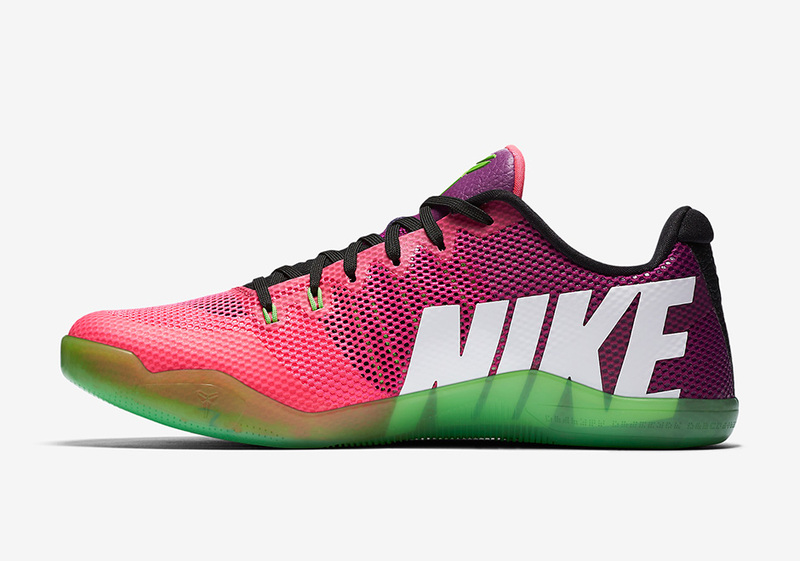 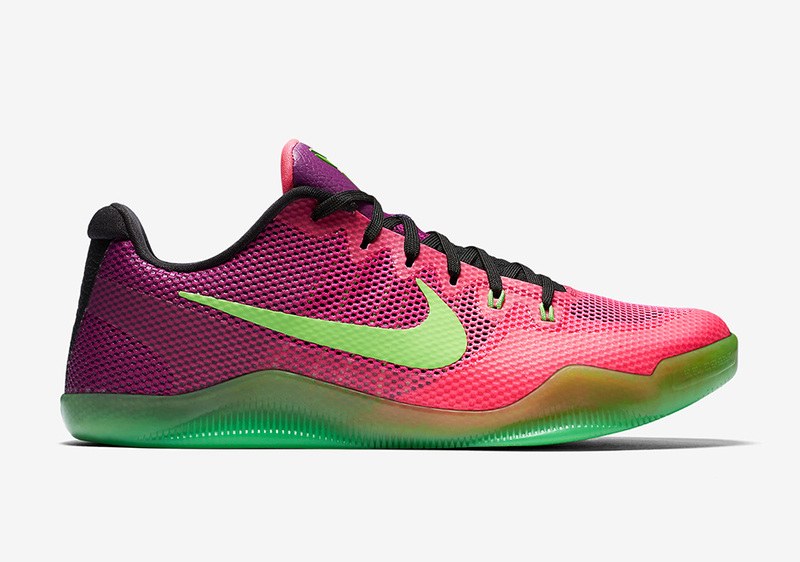 The Nike Kobe 11 will be seeing a Mambacurial theme for the summer. 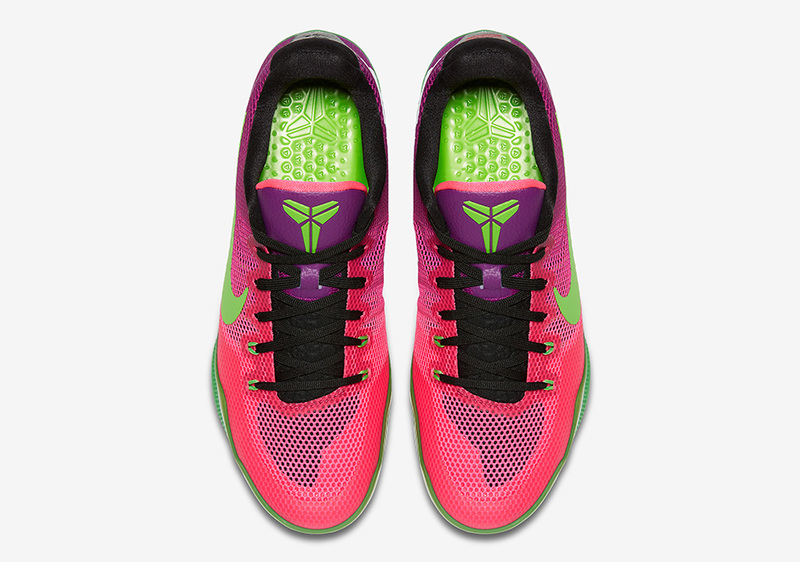 Done in a colorway consisting of Red Plum/Electric Green-Pink Flash, the Nike Kobe 11 offers an updated version of the theme that debuted on the Nike Kobe 8. 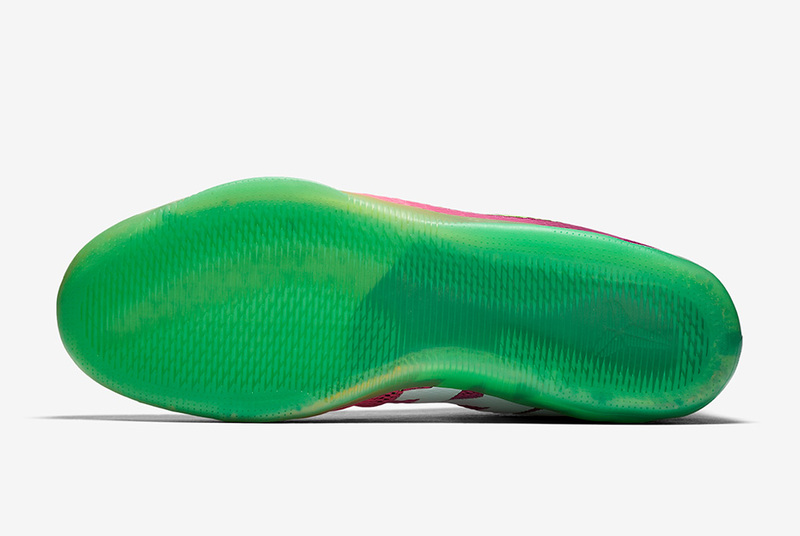 A solid electric green swoosh hits the side panels, with a green outsole. 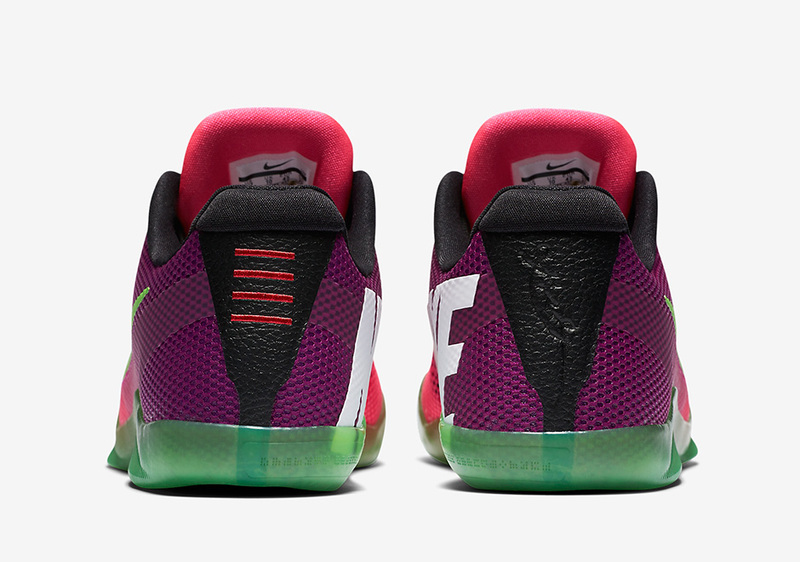 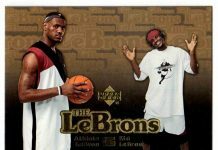 Red Plum falls on the upper portion of the shoe, with the jumbo NIKE logo on the side panels. 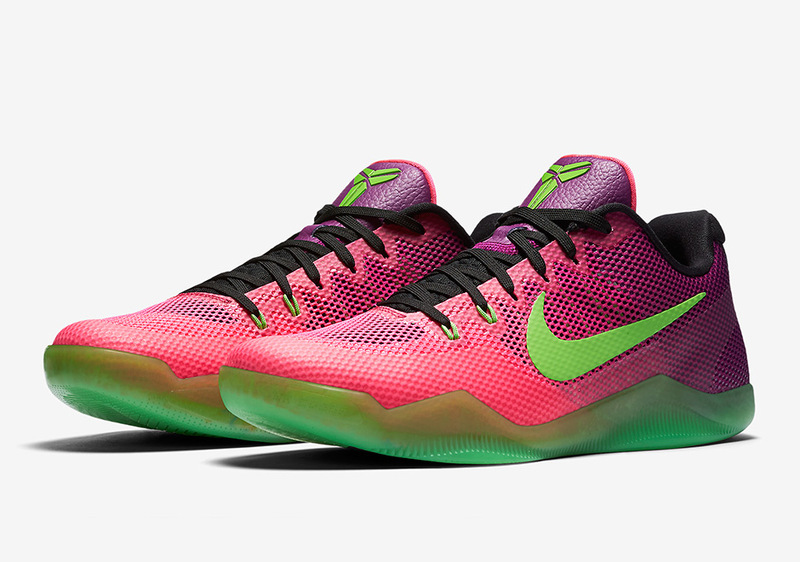 These are scheduled to release on September 15th for a retail price of $160.